If you own a website, or even several websites, it’s a good idea you know and understand the design changes that have been happening over the last couple of years. We’re talking about how a change in technology, and change in how people use your website, are directly affecting shifts in design. Website design as it was a few years ago, has changed to meet a whole new type of user, mostly the mobile device user. In fact, mobile devices have changed the way many big company websites are designed, such as Apple and Microsoft, who made it far easier for their customers to navigate and find what they are looking for. Many design changes seem to have been driven by mobile devices. In other words, these changes had to take place for mobile users to be able to navigate websites on small screens. If you want to see what we mean, find an old online website that isn’t designed for mobile use, and try to navigate it. If it has lots of menu items, and even menu dropdowns, you will find it unfriendly as you try to see those tiny buttons and find what you are looking for. The changes that do make it easier, and give a great experience are things like; better use of negative space, using bold and expressive typography instead of heavy loading images that eat up bandwidth for the user, using cinemagraphs instead of static images or full blown videos. There are some other cutting-edge design tricks like scroll triggered animation such as the new Mac Pro on Apple’s website. Another thing you can do is create a website application hybrid. A good example for this would be Pinterest. When going to the Pinterest website, users are asked if they want to download the application because ‘Pinterest is best viewed with our application’. And applications are amazing because they can learn and react to each user’s preferences and styles. And of course, Facebook is also another example of taking the desktop website and converting it to an interactive application. Other things like Intelligent Conversation Bots who can answer questions like: what your store hours are, or what your prices are. You would simply type in the URL where you want to go, and then have a conversation with a virtual helper on that website. It’s fairly high tech stuff that you will likely see more of soon. 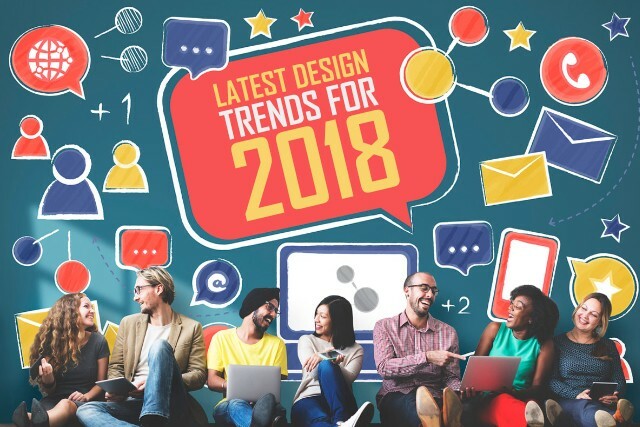 You will want to take advantage of these new design changes because they will ultimately drive more conversions, and you will have happier customers. Want us to take a look at your website to see if it’s optimized for a great user experience no matter what device your visitors are using? Contact us now at cnelsonjeffers@breckshire.com for an evaluation, and get your website fully optimized.